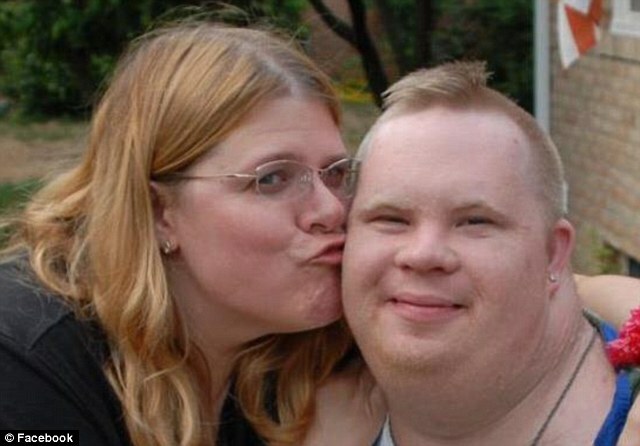 Robert Ethan Saylor, Man With Down Syndrome, suffocated by police. You are here: Home / Resources / Abuse (And Murder) Of People With Special Needs Has To Stop! Abuse (And Murder) Of People With Special Needs Has To Stop! Ethan was killed by police officers after now leaving a movie theater. Kirkham described asphyxia as a condition that closely resembles the panic that accompanies drowning. I can’t even imagine what was going on in this young man’s mind when he was handcuffed and forced to the ground by these three police man. He was no doubt scared. He probably had no idea what was going on. And these guys treated him like an animal to the point they murdered him. Just typing out this blog post remind me of how hurt and angry I am. This isn’t the first time I’ve heard of a person with Down syndrome (or other special need) being mistreated by someone in authority. A few weeks ago 8 year old Shaylyn Searcy (a little girl with Down syndrome) arrived home from school with her shoes duct-taped to her ankles which was done by a school official!!! Are you kidding me! Then there was Bede Vanderhorst (a 16 year old teenager with Down syndrome) who was not allowed to fly first class on an American Airlines flight. Next the tragic story of 7 year old Angellika “Angie” Arndt who was suffocated by her own teachers! Then you have the state of Florida warehousing children with Down syndrome. “In Maine, 42 percent of people shot by police since 2000 had [special needs], according to the Portland Press Herald. And 58 percent of those who died from their injuries were mentally disabled. What?!! 24% of adults with special needs have been a victim of violence?? I pray often for God to change the hearts of people in this world, and that all people would see children like my son as valuable and worthy of love and respect. I pray for our leaders, and educators, and other people in position of authority to step up and protect people like my son. It breaks my heart to see people that are paid by our tax dollars abusing their power and doing the exact opposite of what they swore they would do. I wonder if they stopped and thought about how that man they were holding down on the ground and suffocating, had a mom and a dad who loved him dearly? A mom and dad who no longer have their son on this earth because he was taken from them by the hands of the crooked cops. God’s grace is big. Even big enough to forgive the police involved in this man’s death. I didn’t write this post for some sort of online revenge. (I do, however, hope these men are held accountable for their crimes.) I wrote this post to shine a light on these injustices, and to once again proclaim my commitment to trying to help put a dent in the occurrence of these tragedies. What are your thoughts on this story? What do you think it will take to help put an end to the abusive treatment that people born with special needs sometimes endure? Do you have any thoughts? Leave a comment below and let us know. If you agree with me that we must put a stop to the abuse of people with a disability please be sure to click the LIKE button below and help me spread the word that this isn’t ok! My beautiful Daughter Cindie was born with a hereditary skin disorder that’s very rare (1 per 300, 000 people are born with this particular skin disorder Epidermalytic Hyperkeratosis Ichthyosis also known as EHK Ichthyosis) that she got from myself, who got it from my mother. I mention this because she has a beautiful five year old little boy who just happened to born with Down Syndrome, as well as the skin disorder that they had/have. Cindie was very proactive when it came to Tyler and educating the public on Down Syndrome as well as the skin disorder. Before she passed away two and a half months ago on April 21st. 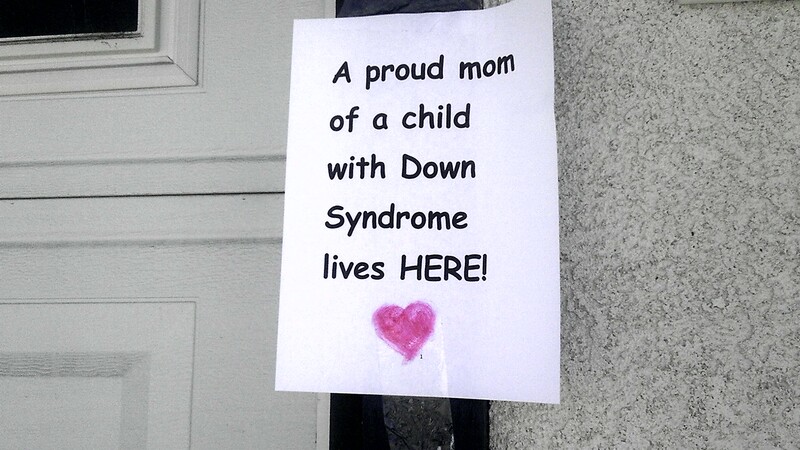 of 2013, for the last DS Awareness day she wrote up some facts regarding DS and taped them to the stop sign out front of their home, she also taped up signs to her home proclaiming she was a PROUD MOTHER Of a child with DS and she got involved in every conceivable way she could possibly think of. She was a great mommy! However, my point is she had a firm belief as I always have that more education for the public on all different types of special needs, is the answer. Parents need to be more open to questions instead of being so, closed off and defensive anytime someone looks their way. They look and stare because they’re curious, but afraid of asking what’s wrong with their child, and they shouldn’t be. If Someone would stare at Tyler rather due to the skin problem or the DS it didn’t matter she would initiate a conversation with them with a smile and proceed to tell them about both things. She always welcomed questions with a smile, because after all if you don’t ask you’ll never learn. I Was very proud to see the kind of mother she turned out to be. But the TV broadcasters, producers, and all those in that industry need to use their power to produce more, movies and shows educating the public and PARENTS, seriously you need to lighten up and welcome questions warmly and yes even with a smile. Education is the only way. When you’re knowledgeable about something that’s different to you then you’re less likely to fear it and more open to accepting and in some cases even embracing it. Keep posting these stories on social media. Don’t let the stories of these lives be lost.